A year ago, Kurt Busch and his No. 41 Monster Energy/Haas Automation Ford Fusion for Stewart-Haas Racing (SHR) arrived at Atlanta Motor Speedway fresh off the biggest victory of his illustrious Monster Energy NASCAR Cup Series career. And the newly anointed 2017 Daytona 500 champion took a rather circuitous route to the outskirts of Atlanta, having crisscrossed the nation on the traditional celebratory media tour for the days leading up to last year’s Folds of Honor QuikTrip 500. 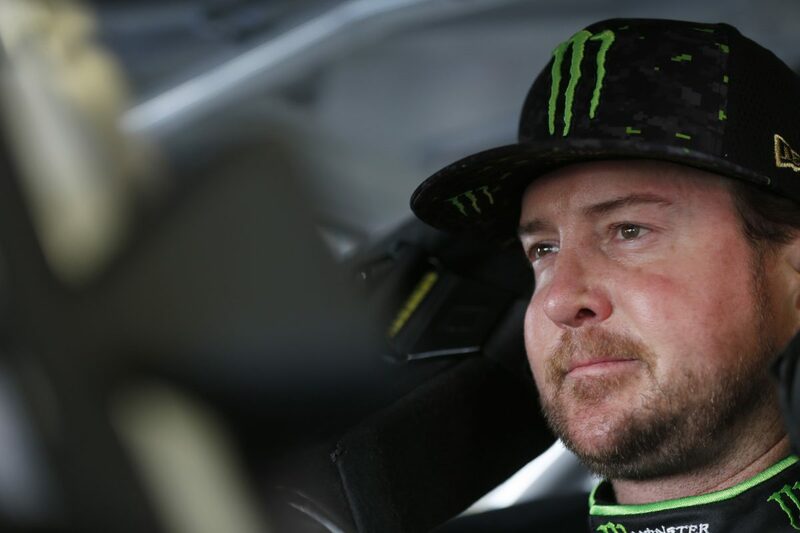 This year, Busch’s thoughts and those of the rest of his Monster Energy/Haas Automation teammates made a beeline to the 1.54-mile Atlanta oval upon stepping out of his wrecked racecar during the closing laps of last weekend’s renewal of the Daytona 500. Understandably so, a small part of Busch and his teammates arrive for this weekend’s race knowing that, with just a lap and a half to go last Sunday in “The Great American Race,” they were in position to be the first to win back-to-back Daytona 500s in almost a quarter of a century, and for only the third time ever. Busch and his team mounted a solid defense of their 2017 Daytona 500 win, having scored the Stage 1 victory and leading three times for 16 laps to bring Busch’s career total of laps led on the 2.5-mile superspeedway oval to 307. He firmly held his position among the top-three during the closing moments, leading laps 195 and 196 of the scheduled 200-lap event and eyeing a final sprint to the checkered flag. But, coming to turn two on lap 198, Busch was clipped from behind and spun out of contention in the multicar melee that ensued. He was credited with a 26th-place finish. With Atlanta next on the schedule, this year’s Daytona disappointment quickly turns to confident anticipation for Busch as he long has lauded the track referred to as “Hotlanta” as his favorite. He’s scored two of his three career Atlanta wins during the month of March – in 2009 and 2010. In addition to that pair of wins, Busch also won there in October 2002, and his overall record at Atlanta is certainly noteworthy, featuring six top-five finishes and 12 top-10s in 26 starts. He’s led at least one lap in 12 different races for a total of 749 laps led, has failed to finish a race on only three occasions, and has completed all but 629 laps run in his 26 starts for a lap-completion rate of 92.5 percent. Most recently, Busch has finished outside the top-10 just twice – 13th in both 2012 and 2014 – in his last eight Atlanta outings, recording one pole in 2016, and scoring one win, four top-five finishes and six top-10s. So, with an oh-so-promising but ultimately disappointing Speedweeks at Daytona in the rearview mirror, it’ll be a welcome breath of fresh air for Busch and the No. 41 Monster Energy/Haas Automation Ford Fusion for SHR on the outskirts of Atlanta this weekend. How do you switch gears from all that is Speedweeks at Daytona and go about your business on a normal race weekend like you will at Atlanta? What do you think about the decision by Atlanta Motor Speedway management to continue racing on the old track surface rather than repave it after last year’s event? We saw at Daytona that finishing position at the end of each stage seems to be more important than ever. Do you expect that trend to continue?